How do you resolve conflict with someone who prefers to hide their head in the sand? It’s been a tough discouraging week with one crisis after another. Sometimes I can’t help but laugh at the barrage of catastrophes that keep knocking at my door. I find myself saying “next?” and “when will it end?” At times, I want to bury my head under the blankets and wait for the problems to magically disappear. But pretending a problem doesn’t exist doesn’t make it go away. When it comes to conflict resolution, nothing frustrates me more than the proverbial ostrich. It’s precarious having a relationship with someone who insists on being one. If you pull too hard, they run away. If you don’t push hard enough, they stay stuck. Conflict is messy stuff. How can it be easier? Ostrich-like behavior is a method of control used to manipulate others. This highly skilled behavior uses diversion, blame-shifting and a whole library of maneuvering strategies—all to get away from that uncomfortable pain of working through an issue. Yes, conflict is painful. Sometimes the resolution is as simple as apologizing. Sometimes it isn’t. Conflict can result from a difference of opinion—and opinion is a personal thing. 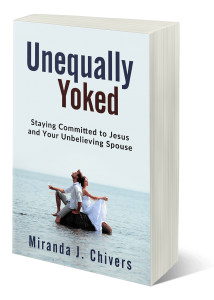 As I wrote in my book, “Unequally Yoked”—you can have different opinions and still have successful relationships. However, if you make your opinion about the other person, your disagreement turns into a personal attack. This is when conflict turns ugly and you run the risk of ending a relationship. Politics and religion are both good examples of different viewpoints. We tend to hang out with people who think like us, but we might have a few friends that don’t. How often do we label others negatively because they believe differently from us? Rather than discussing why we have chosen our political or religious viewpoint, we label ourselves as right and the other person as wrong. Then we stick our heads in the sand and decide we won’t talk about that subject with this person again. Unfortunately, when we restrict our conversation to appease someone else, we become people pleasers. People pleasing is one characteristic of co-dependent behavior. Co-dependency is destructive. It means you are enabling negative behavior in another. Avoiding difficult conversations does just that. It enables others to carry on sticking their heads in the sand while you do the same thing. That’s a pretty funny picture, isn’t it? Two ostriches both with their heads in the sand. How can either of them possibly know what’s going on around them or between them? So how do you encourage that ostrich to look up? Sometimes it takes a push or tickle. But sometimes they’ll respond by planting their feet wider and sticking their head in a bit deeper. You will always get a reaction, but it may not be the reaction that you want. You can’t control their reaction—you can only control your own. In fact, your reaction could be giving up and walking away—thinking there’s no hope. Bear in mind, conflict is always about two or more people. You must decide whether the conflict is important enough to cause a permanent rift in your relationship or whether the relationship is more important than the conflict. Whatever decision you make, keep your head up and your eyes open. Burying conflict is neither healthy nor wise. I wish I had an easy answer about dealing with the ostrich. I don’t. If you do, please send me an email and enlighten me. In the meantime, I’ll defer to the Bible’s instructions on conflict resolution. God wants us to have healthy relationships. He instructs us to forgive others when they are wrong and apologize when we are wrong. He also encourages us to acquire wisdom and consult with others. If you can’t solve a serious conflict on your own, get help. The wise will hear and increase their learning, And the person of understanding will acquire wise counsel and the skill [to steer his course wisely and lead others to the truth]. Proverbs 1:5 Amp. If you think you don’t have time to read the Bible—check out www.dailyaudiobible.com This audioversion of the Bible will get you through all 66 books in one year in just thirty minutes a day. Again, love this visual and had to chuckle-out-loud. There definitely isn’t an easy way to and/or through conflict resolution situations. 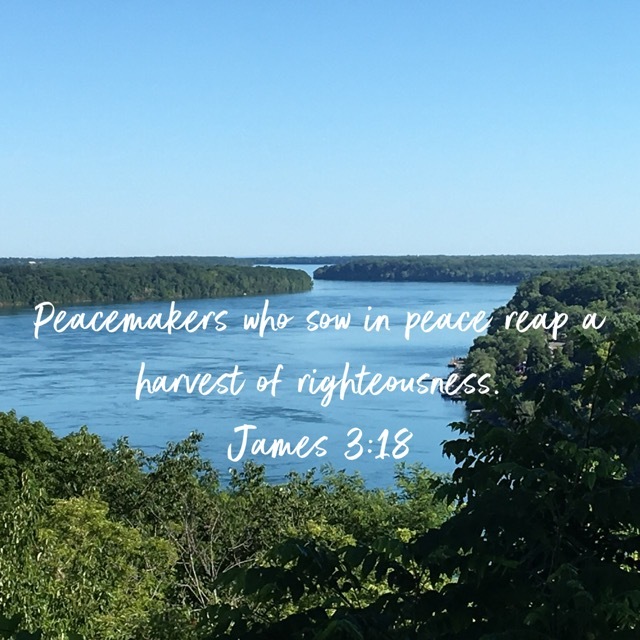 There are more than enough attempts made when our relationships are strong but when there is brokenness in communication, especially over religious and/or political differences, our success rate can be very low. Surprisingly, political arguments can sometimes lead to a discussion of religious differences. The end result can be both parties walking away with new understanding of the other’s viewpoints. I love having political discussions for this reason. However, if the other person is uncomfortable with the differences in viewpoint, then it’s best to drop the topic.